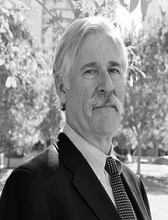 Scott Decker is Foundation Professor in the School of Criminology and Criminal Justice at Arizona State University. His main research interests are in gangs, violence, and active offenders. He is a Fellow in both the American Society of Criminology and the Academy of Criminal Justice Sciences. He is the author of seventeen books and over 130 scientific articles, including Life in the Gang: Family, Friends and Violence (Cambridge, 1996), Confronting Gangs: Crime and Community (Oxford, 2015), and Policing Immigrants: Local Law Enforcement on the Front Lines (University of Chicago, 2016). He served as a Member of the Missouri Sentencing Commission for ten years and as a member of the Arizona POST Board for five years.